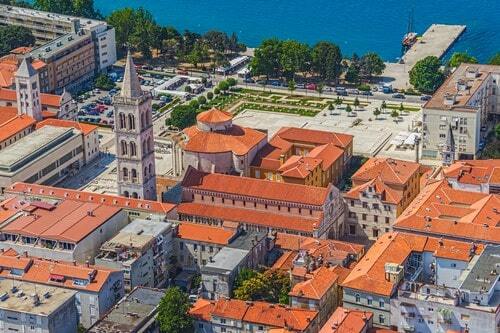 Zadar is Dalmatia’s cultural and political beating heart, and has been for centuries. The historic city is home to the oldest university foundations in the country, and many important archaeological sites, monuments and ruins that date back to Roman and Venetian times. Located in the northwest area of the Ravni Kotari region, on a small peninsula, Zadar is an intriguing and vibrant city of colour, culture and contrasts. The enticing city also boasts a cool vibe and fewer crowds than Dubrovnik. The Old Town of Zadar is a treasure trove of ancient and medieval churches, landmark structures and fine architecture. On a stroll along the cobblestone streets of the Old Town you will discover many interesting historic and cultural sights. Seek out the Venetian gates in the city walls, and visit the grand 12th century Cathedral of St Anastasia, and the famous 9th century pre-Romanesque St Donatus’ Church. There are cosmopolitan cafes, bars and restaurants where you can enjoy refreshments whilst watching the world go by. 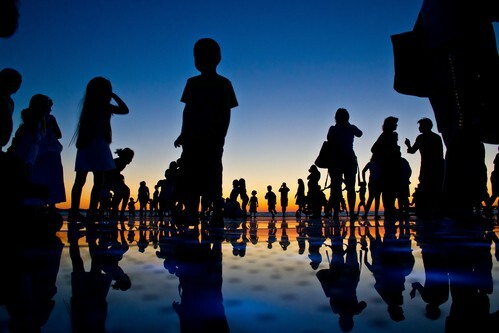 Zadar also flaunts a beautiful seaside promenade where people gather to listen to, and admire, the stunning art installations and to observe spectacular sunsets. 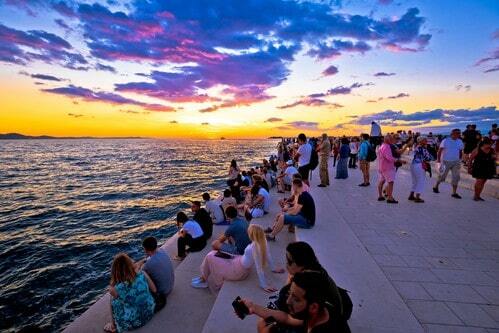 It’s believed that the world famous movie director, and master of suspense, Alfred Hitchcock once proclaimed that: “Zadar has the most beautiful sunset in the world”. Visit the ancient relics that are dotted along Zadar’s stunning coastline and explore its equally beautiful green and hilly hinterland. As one of Croatia’s primary transport hubs, you can easily access neighbouring archipelago islands via the city’s ferry links. If you appreciate art, you won’t have far to venture to discover two unique attractions. Situated on the scenic promenade are the mesmerising sound and light shows of the Sea Organ and the Sun Salutation (or Monument to the Sun), both artistic creations designed by architect Nikola Bašić. Situated directly on the seafront is the modern art installation, the Sea Organ. The experimental musical instrument is the creation of the famed Croatian architect Nikola Bašić. He received the European Prize for Urban Public Space for this piece of original and innovative art. Music is generated by the ebb and flow of the sea as it moves through 35 individual organ pipes that lie beneath marble steps. The energy of the ocean creates a unique soundtrack for life in Zadar. The historic Old Town of Zadar is over 3000 years old and boasts an intriguing mix of ancient relics, Roman ruins, medieval churches and interesting museums. The stunning architecture provides the perfect contrasting backdrop for the city’s elegant and cool cafes, bars and restaurants. Take a walk along the winding marble streets and explore the historic monuments and cultural attractions. Visit the 9th century Church of St Donatus, and the 11th century St Mary’s Convent that surrounds the Roman-era Forum. Architect Nikola Bašić (who designed the Sea Organ) is also the creator of the fabulous Sun Salutation installation. Set into the pavement is a 22m wide circle that boasts 300 multi-layered glass plates that collect the sun’s solar energy throughout the day. From sunset to sunrise, the energy is converted into electricity that powers light to illuminate the waterfront at night. When switched on, at sunset, bright and colourful lights are displayed. For the best light show, visit the promenade at sunset. Zadar’s excellent transport links provide easy day trip access to Croatia’s popular natural beauty spots. 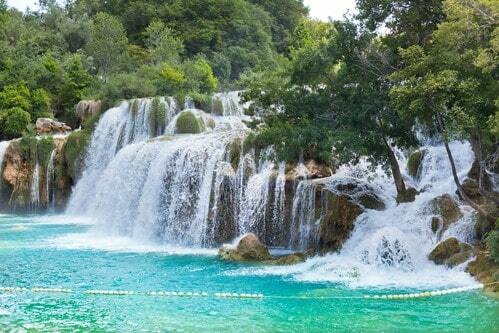 Plitvice National Park was established over 70 years ago and is Croatia’s oldest and largest nature reserve. The park boasts a network of 16 interconnected terraced lakes, 90 cascading waterfalls, and woodlands and forests. The islands of Krka and Kornati are home to beautiful national parks that show off cascading waterfalls and placid lakes. Set against the majestic Velebit Mountains, Palenica National Park is an idyllic location for hiking and climbing adventures. The Falkensteiner Hotel & Spa Iadera is an exceptional resort hotel with a wealth of premium amenities and facilities to ensure that every guest feels like a VIP. 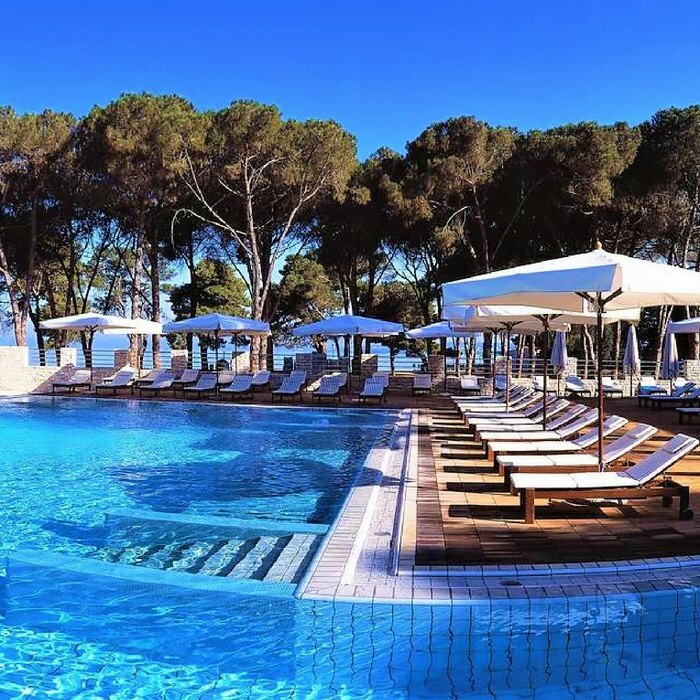 The 5 star property is situated on the private Punta Skala Peninsular, just 7.5 miles from the centre of Zadar. 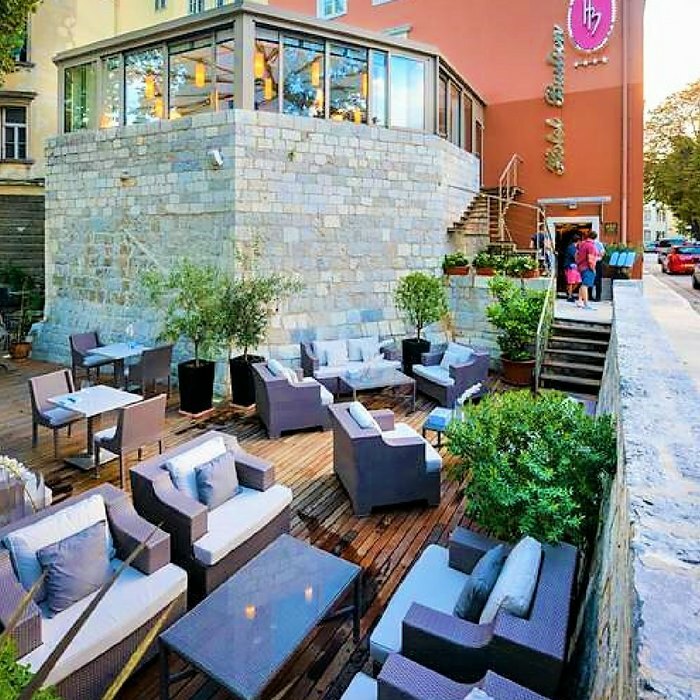 Book your luxury holiday in Croatia at Hotel Niko a stylish 4 star hotel situated just a few steps from the beautiful pebble beach, in Puntamika. 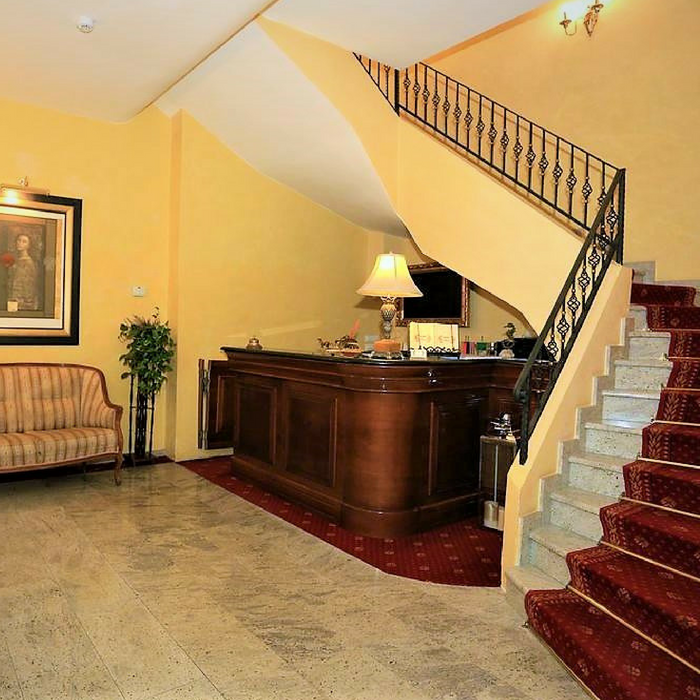 The family run establishment offers a traditional Croatian welcome and hospitality with exceptional European style accommodation. 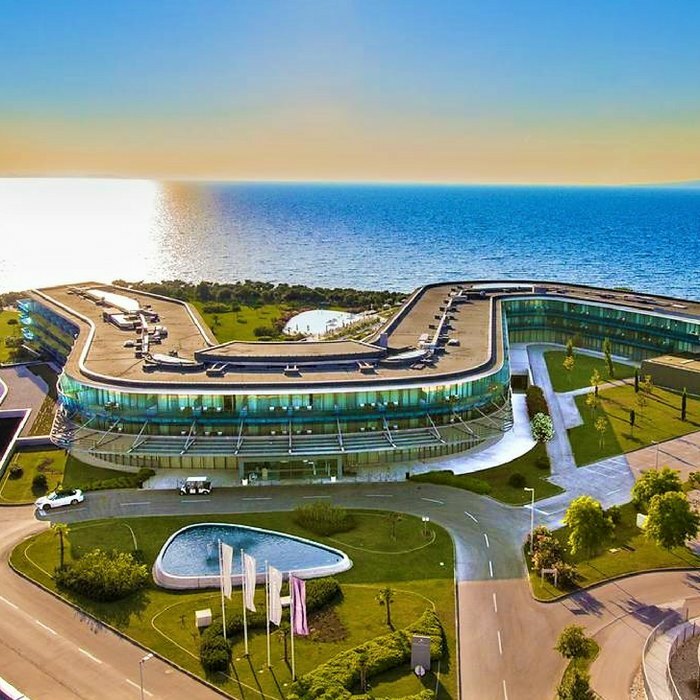 Book your luxury holiday in Croatia at the Falkensteiner Hotel Adriana a luxury 4 star spa hotel situated in Zadar , directly on a private sandy beach. 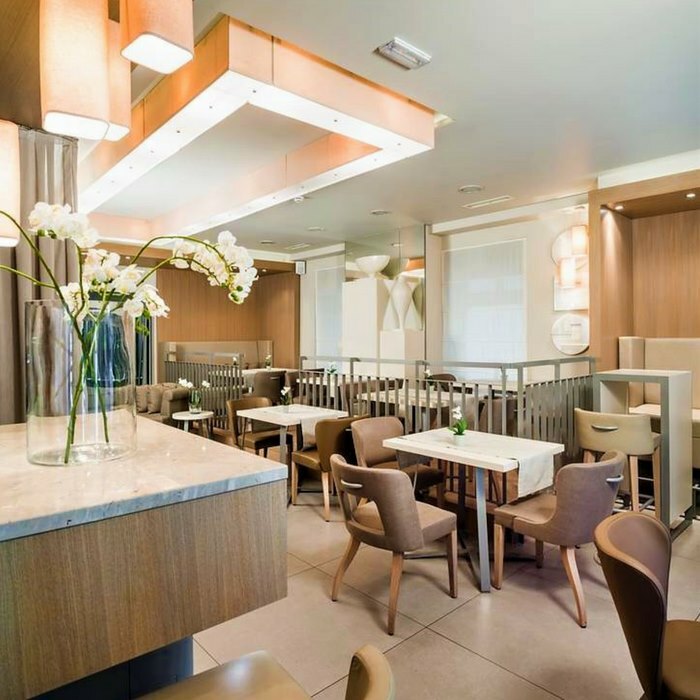 The chic boutique hotel offers a high standard of service and comfortable luxurious surroundings that ensure every guest feels completely at home. Book your luxury holiday in Croatia at the chic Art Hotel Kalelarga, a boutique establishment situated in the heart of Zadar town centre. This luxury hotel offers an intimate ambience and exclusive first class amenities and facilities.